Those gifted with faith have always been in the enemy’s firing line, and it is very obvious when someone else persecutes you. But this blog has always been devoted to revealing the hidden enemy, the inner enemies. One area that has impressed itself on my heart recently is the fine line between certainty in faith and arrogance. There is nothing else that compares to the feeling of being certain in faith. Those times when there is nothing anyone can say to make you doubt what you have experienced to be true. Especially the times God has aligned numerous perfect signs, or given prophesies before they appear, or fulfilled promises when obedience brought them to reality. Certainty in faith like that can be the most wonderful experience known to mankind, and yet it is not without its potential drawbacks. Inner Enemies seek to destroy all testimony of a loving God with us and in us, doing all they can to cause us to doubt God, to resist Him, to prevent us from having these experiences of certainty. Then, once we experience certainty in faith, they push us further into it. They empower ego and pride, conceit and prejudice. The weakness of our flesh is real, and the lies of the enemy are subtle enough that they are easy to believe. It could be as simple as wishing others believed us, and defending ourselves when they don’t. It could be that our experiences don’t line up with another’s so we may dismiss or doubt the beliefs of another. 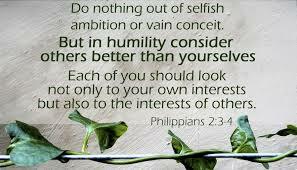 Inner Enemies attempt to weaken our self-awareness and corrupt our humility, or at the very worse end of the spectrum, may encourage the violent atrocities carried out across the world in the name of religion. Even the Enemies of God have learned how to imitate God so well that many are convinced of their certainty when it is in fact a counterfeit. Just another way to fill the world with confusion about the One True God. Our desire to know all things is both our passion and our down fall, from the fruit to the future, human’s greed for understanding has been misleading the world. It has driven science to make adamant claims to have discovered a vital new piece of ‘truth’, only to realise much later how far from truth it was. It has driven Christians to divide up into various denominations, each one disputing the beliefs of the next, watering down the effectiveness of God’s message with each new dispute. In order for us to stay on the fine line towards our Godly calling, my Dad used to explain it like tacking into the wind in sailing. 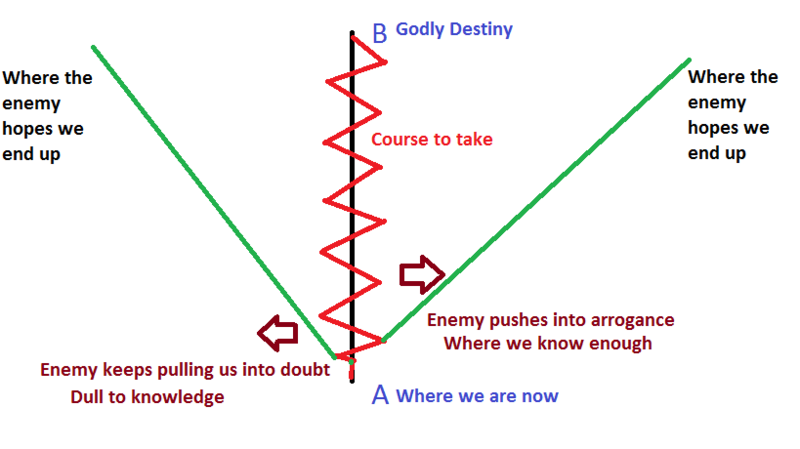 The Enemies attempt to push us off course, a slight nudge here and slight nudge there, knowing that even just a tiny deviation off course will end us up a long way from our calling. If the Enemies use doubt, guilt, and resistance to keep us on this side of the course we must tack towards the line by seeking out God’s word, God’s truth, building up and exercising our faith. Alternatively during those times we experience certainty in faith, the Enemies push us right over to the other side and use pride to attempt to convince us that there is no longer a need to change, not much more need for growth. Subtle lies that say we have grown enough and we know enough. One side of the course keeps us dull to insights and understanding, while the other pushes us into the arrogance of knowledge. All is a strategy to keep us from pursuing the truth in the word of God, and this is when many may start comparing sins and sinlessness, as I’ve mentioned in previous posts. It doesn’t take a genius to see that if radicals saw themselves as equal sinners there would be no one to judge, no one to condemn, no one to make an example of. Only Compassion and the Unity of a world full of sinners who ALL need a Saviour. Self-awareness and a close relationship with God is the safest way to navigate the course to our destiny. Keeping our humility, recognising that we always have more to learn is vital if we are to tack back away from arrogance. An arrogant testimony is more likely to dissuade unity, and yet we must have confidence if our testimony is to carry any weight. In order to walk the fine line towards our destiny and give compelling testimony along the way, we must stay in the constant presence of God. I pray we all keep up our armour and keep vigilantly tacking against the winds of our Inner Enemies, until God’s purpose is reached in each of our lives.